OxyClay It’s not another translucent polymer clay, it’s the first transparent one! In fact, it’s so invisible that it can only be viewed in the light of your imagination. Do you burn your fingers by grabbing hot polymer clay out of the oven to dunk it in ice water to get ‘clarity’? And how many painful cuts have you given yourself trying to shave microscopically thin slices off that mokume gane stack, hoping for a real transparent look? If that’s you, you’ll love this product! Just mix a tiny bit into your ‘translucent’ or frost polymer clay and bake as normal to achieve amazing glass-like effects. Save your poor aching fingers and get results that you can only find in your wildest dreams with this incredible new product. 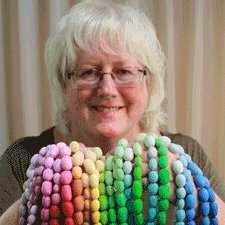 OxyClay Will Change How You Look At Polymer Clay! - Your whites will be whiter. 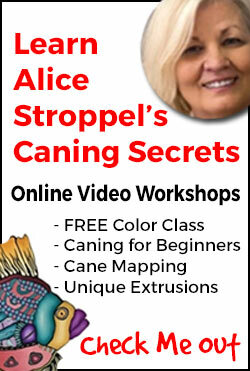 - You’ll save money by cleaning muddy scrap clay back to its original bright colors. Never Worry About Burning Your Polymer Clay Again! This unique polymer can remove that ugly scorching and yellowing caused by over baking your clay! No more tedious sanding, rubbing or painting to hide those burn marks. Just rub a bit of this magic material on the discoloration and rebake for 15 minutes. And that stain is magically GONE! 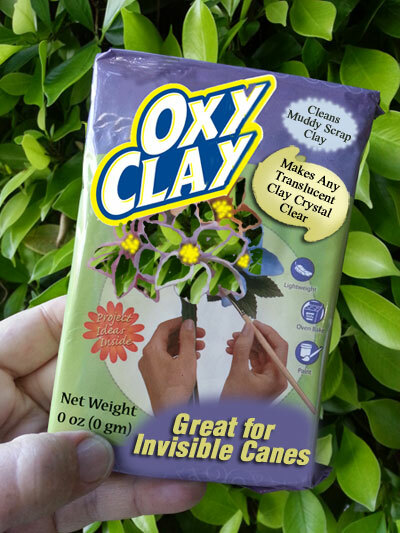 Be the First to Try OxyClay Today for FREE! This new art medium is not sold in stores. In fact the only way that you can experiment with this fabulous new product for yourself is to sign up for the beta test below. We need your feedback and help to make this great product even better before its release to the general public. This incredible vaporware will be shipped FREE to you directly from the manufacturer in the Twilight Zone. Get email updates to this website delivered to your email folder so you don't miss out on opportunities like this. Sign Up Here and Tell Us How Much You Love OxyClay! Polymer Clay Home › Amazing OxyClay!